Brent Crude Oil is the benchmark crude price for Europe, and the Forward Curve of Brent prices is now slightly in contango, i.e. the deferred months up through December are at higher prices than the front month September. As of Friday, July 27, 2018 September Brent Crude settled at $74.29, while the December Brent Crude settled at $75.05, a price spread of 76 cents (Chart 1). This is the first time in 10 months that the Brent market has been in contango. Traders now anticipate an increase in global crude supplies during the rest of 2018, as Saudi Arabia, Kuwait, and Russia have recently pledged to increase supplies and exports. With the expectation of more crude supplies there is less concern about the immediate availability of crude oil so the nearby prices are lower than the deferred months. As a general rule in the Crude Oil market, when prices are rising or are expected to rise, the market is backwardated, i.e. the deferred months’ prices are lower than the front month. When prices are falling, or are expected to fall, the market is in contango. 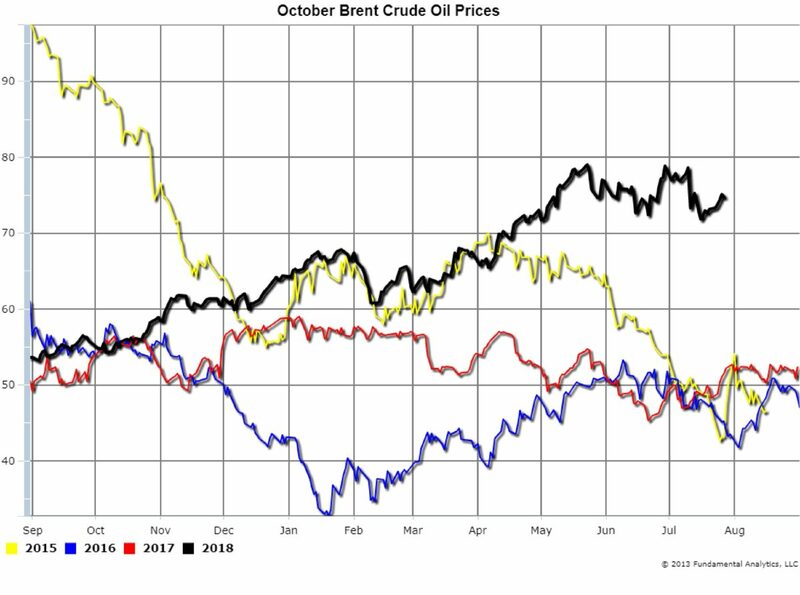 As an example, on Friday, July 27, 2018 the October Brent Crude Oil price decreased by 36 cents to $74.76 (Black line). 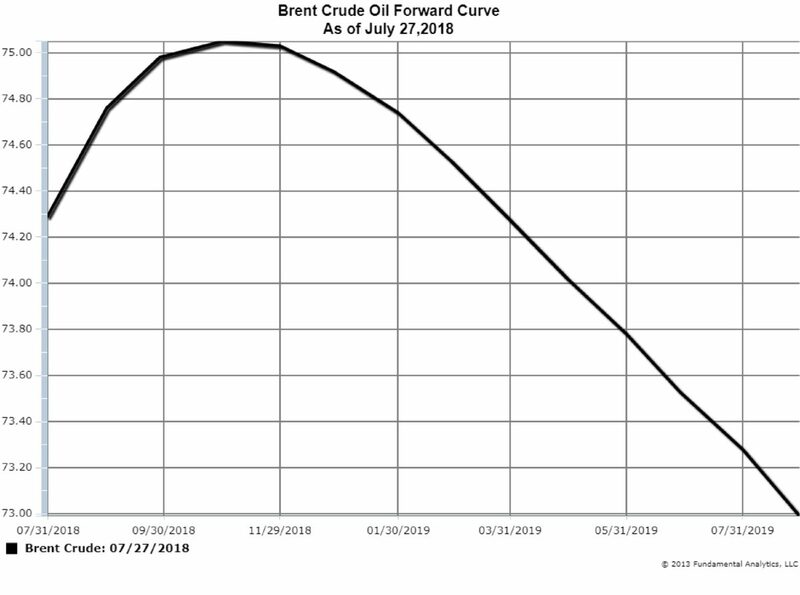 We would recommend following the Brent Crude Oil Forward Curve for increases in contango as a sign to consider a short position in the Crude Oil market. 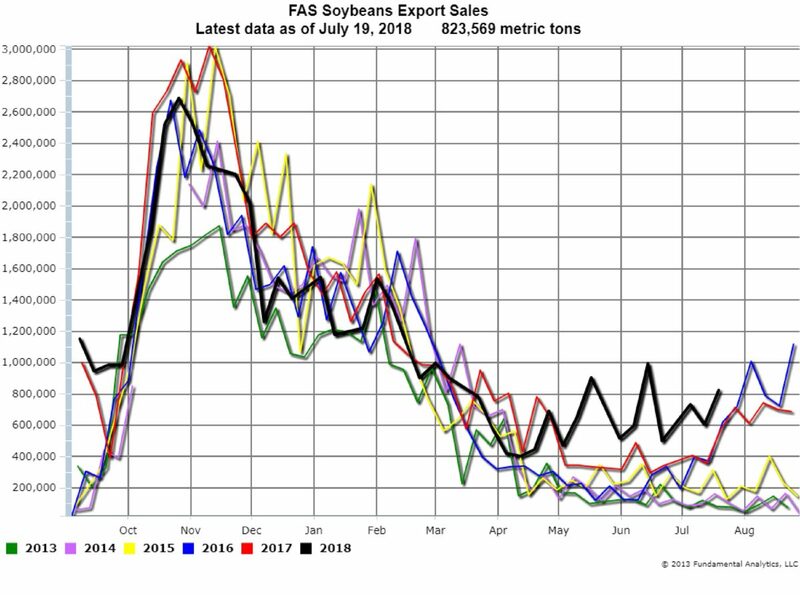 Soybeans Export Sales continue to remain strong at 823,569 metric tons as of July 19, 2018. The exports were even greater in May when news of anticipated Chinese tariffs was first reported (Chart 3). 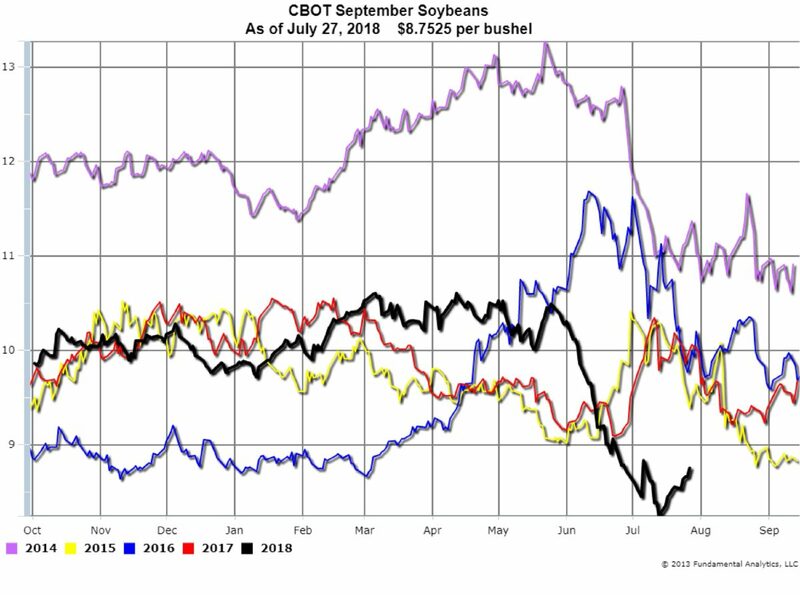 Soybeans prices began the major decline at that time as sellers needed to discount prices to increase sales. 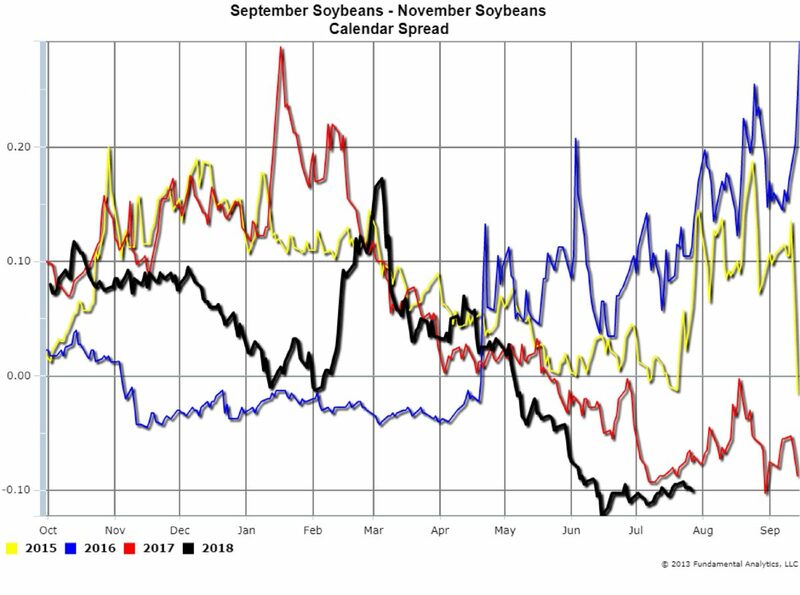 For traders we suggest considering long positions in the outright prices or calendar spreads, for example the September Soybeans – November Soybeans calendar spread (Chart 5). For producers, if they were not hedged before, we suggest waiting, if possible, for higher prices to be established before selling.